Dubai won its bid to be the site for Expo 2020, beating out competitors Brazil, Russia and Turkey. The decision was made in Paris at the 154th Bureau International des Exhibitions (BIE) General Assembly based on votes by representatives of the 168 member nations. Dubai received 116 votes. Russia got 47. For Dubai the event will be a boost to its plan for tourism expansion, through which it is hoping to attract 20 million visitors a year by the year 2020. Under the plan of Sheikh Mohammed bin Rashid Al Maktoum, tourism will be a principle pillar of Dubai’s economy, along with aviation and retail, as it moves beyond an oil-based economy. “Between October 2020 and April 2021, more than 25 million visitors are expected to attend Expo 2020, 70 percent of which will be from outside the UAE – the largest number of international visitors in Expo history," said Helal Saeed Almarri, director general of Dubai’s Department of Tourism and Commerce Marketing (DTCM) and CEO of the Dubai World Trade Centre. 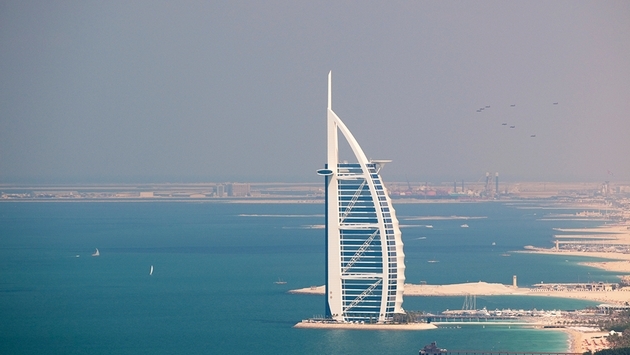 Dubai now has 82,000 hotel and hotel apartment rooms available and expects the number to double by 2020. Kallman Worldwide is providing a platform to help U.S. companies organize exhibits for Expo 2020 with its USA Alliance for Expo 2020. Kallman has developed a specialty of taking U.S. companies to the Middle East for trade shows and events for the last 30 years. The company has participated in events in Qatar, Jordan, Bahrain, Libya, Morocco and Egypt.